Ryan, an Internal medicine resident, came for his first time in May of 2017 and returned this February for another one month rotation. This time, however, he brought his wife Sheena, an OB/GYN resident, for the one month stay. 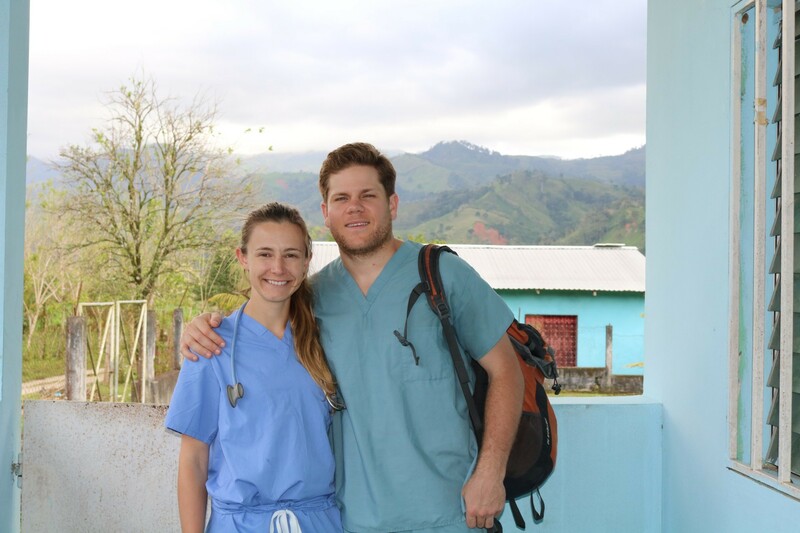 The two went to Las Minas, experienced two rotations in Atlántida Hospital in La Ceiba, and assisted in the palliative care of Doña Paula beside our two March residents Morgan and Ashley. Both helped us run the outpatient clinic here at Jungle Hospital during the week, with Ryan being pivotal in diagnosing new diabetics and hypertensives. On the third week of their stay, Sheena delivered our 11th jungle baby! Full of excitement and new experiences, Ryan and Sheena’s stay taught us better diagnostic care and added to our passion to serve through the month they spent with us!